RED ASH is a success, fully funded and in development for PS4 and Xbox One!... wait, what? One of the big stories of July has been the troubled Kickstarter campaign for Keiji Inafune’s RED ASH – The Indelible Legend and how a series of poor planning decisions and a general lack of interest led it to tank. Four days remain, and it sits at $486,500 of the $800,000 it requested, and yet, Comcept has just announced that the game is a success and ready for production. It’s true. Never let a poorly planned Kickstarter hold you back. Comcept has confirmed that Chinese digital entertainment company Fuze Entertainment has forked over the entire bill for development. This not only allows Comcept to make the game it wanted, it also allows the game to come to PlayStation 4 and Xbox One. 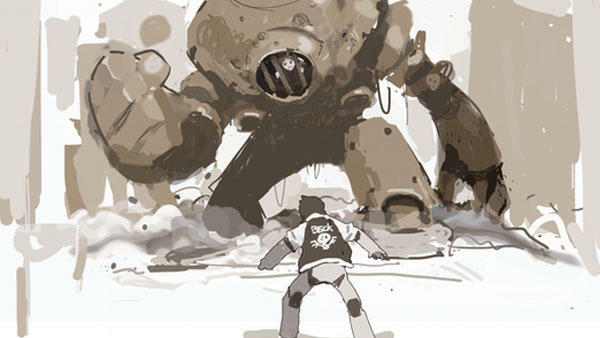 In the blink of an eye, RED ASH went from a miserable failure to a massive success. Wait, then what about the Kickstarter money? That $486,500 must be going somewhere. Well, if the campaign succeeds and Comcept gets the money, all of it will go to extra content, acting essentially as $800,000 in stretch goals. No doubt, some will take issue with this development, wondering why Comcept needs the people’s funding now that it has its own. The rights to Red Ash will be retained by comcept. We’re excited to find such a great partner in Fuze who believes in our vision in its pure form. In addition, comcept will retain rights to creative discretion and decisions in game development. I said I wanted RED ASH to be a success, and it was a shame the Kickstarter’s missteps were holding it back. If this is what it takes to make the game a reality, then I’m all aboard. Sometimes it is just the destination that matters, not the journey. By any means necessary, getting the game made is what’s most important. Against what seemed like infinitely shrinking odds, RED ASH – The Indelible Legend is now in development for the PlayStation 4, Xbox One, and PC. Miracles do happen after all. The Kickstarter wraps up in four days, so your support only makes it bigger and better.